This is the second part of a series of three articles about how young Muslims can develop strength, courage and resilience in the face of peer pressure and bullying. Part 1 dealt with the impact of peer pressure and how you can stay firm. This part provides you with practical tips on how to deal with bullying. we want bullying to stop, but despite decades of anti-bullying programs and laws, the phenomenon has only increased, up to a point that one in four school children now report being bullied regularly. Even when others try to assault your dignity, you should know that you are the one who owns it and it cannot be surrendered unless you give it away. Know that you have choices. Know that you have the power and courage to deal with bullying wisely and do what’s right. Stay ice-cold! A bully tries to establish a superior position by putting others down. Boys and girls may bully in different ways, but the goal is the same: making you feel inferior. Now how does a bully know that he or she was even a little bit successful in putting you down? Right: anger, tears, frustration, defensiveness, and many other things, big or small, that show your emotions are triggered. You are upset, and they’re having fun. Stay ice-cold, ignore the bullying and shrug it off by realizing that people can say what they want and this doesn’t affect the truth one bit. You can’t control their words and actions, but you can refuse to give them an audience. This sounds very straight-forward, but putting it into practice – consistently – requires a lot of patience and self-control. What can help you to keep your cool and stay empowered? No JADE-ing! Do you remember this one from the previous part? JADE-ing (justify, argue, defend, explain), even when done in a calm way, lets the bully know that he/she has triggered something, which is exactly what they’re looking for. For example, when people mock you, call you gay because you don’t date girls, it sounds much more powerful to say: “You can believe what you want about me”, than: “That’s not true, you know I’m Muslim and so I don’t date”, even when you say it in a calm way. Throw in some humor. Learn to look at yourself and life’s circumstances with humor. It’s a big stress-reliever and can work well in tense situations. Seeing the humor in things doesn’t mean that you belittle yourself or your problems, but rather it enables you to diffuse the stress and hurt that come with bullying. Say something funny when others insult you, not in a mocking way, but in a playful, jesting way, it also lets bullies know that they haven’t upset you and will take the wind out of their sails. Use kindness as a weapon. Maybe the last thing you want to do is be nice to someone who torments and harasses you, but, like in the Qur’anic verse above, kindness may change the bully’s attitude and take the enmity out of your relationship. And it shows them that you are not brought down by their words and actions. Also remember here to stay cool, don’t be enthusiastic in trying to please a bully, but calmly and coolly return their bad words or actions with something good. Tell your classmate that you like her new hair style when she calls you a rag head. Warning: Using kindness as a weapon does not mean that you should give in to the bully’s demands, like giving them money. Never do this! The ones who are most vulnerable to the effects of bullying are the ones who care the most about relationships with their peers. Try to establish meaningful, healthy connections with a variety of people, including adults. The more positive relationships you have, the less you will be affected by bullying. 3. Snitches and Tattletales: When to Call for Adult Intervention? As a general rule, don’t tell on a bully when there’s no serious harm or threat. 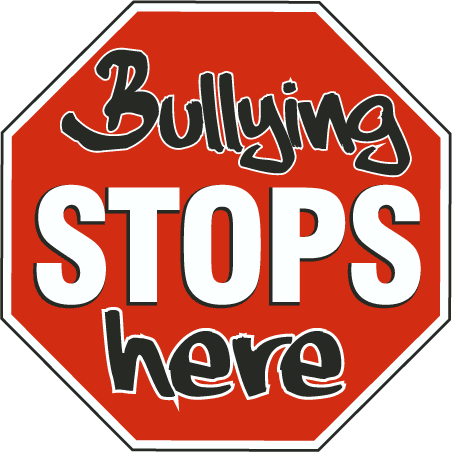 It will get the bully into trouble, and although that may seem just what he or she deserves, it will continue the cycle of bullying because it will feed the bully’s anger and frustrations and make him/her more determined to get back at you. But, make no mistake about it, when someone seriously wants to harm you, you should get adult authorities involved right away. No one has the right to harm you and this should be reported immediately. When bullies threaten to harm you, make a safety plan together with an adult you trust. The Bystander: How Can You Help? Just like the one being bullied, bystanders shouldn’t give bullies any audience at all. Don’t become angry or upset. Does that mean that you shouldn’t do anything? No, but your focus should be on the victim. You can help by talking to the one being bullied, keep him/her company or help them to calmly walk away from the scene. Don’t be afraid that by doing this you will be the bully’s next victim, it’s exactly this fear that keeps the bully in the dominant position. No Escape from Cyber Bullying? Never, ever agree to meet a person who contacted you over the internet! The next and last part of this series will focus on what parents can do to help their kids and teens to stay strong, courageous and resilient. Meanwhile, I’d love to know if you’ve tried the tips I’ve shared so far and how they’ve helped you!